Officials said Monday that suspicious packages were received at the CIA, Fort Belvoir, Fort McNair, and a Naval Support Facility in Dahlgren, Virginia, CNN reports. The package that was sent to the National Defense University at Fort McNair in Washington, D.C., contained explosive material, it has been confirmed. No one was hurt and the package has been ruled safe. "At 12:10 p.m., 52nd Army Explosive Ordnance Disposal from Fort Belvoir, VA, confirmed the package tested positive for black powder and residue," Army spokesman Michael L. Howard said. "The X-ray conducted indicates suspected GPS and an expedient fuse were attached. The package was rendered safe. No injuries are reported." The packages are undergoing examination at the FBI lab in Quantico, Virginia. Scanners at the facilities detected materials that were suspicious. After a K-9 sweep at the National Defense University at Fort McNair, the location was cleared for reentry. The Fort Belvoir package was also rendered safe, an Army spokesman said. 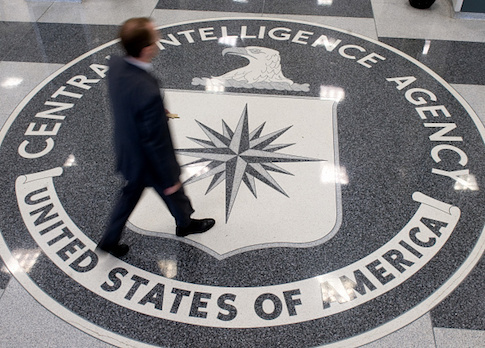 The government has not provided details about the package the CIA received. Defense Department spokeswoman Lt. Col. Michelle Baldanza said the matter is being investigated. "We are tracking the delivery of suspicious packages to multiple military installations in the National Capital Region," Baldanza said. "This incident is currently under investigation and we refer all queries to the Federal Bureau of Investigation." This entry was posted in National Security and tagged Army, CIA. Bookmark the permalink.